Brook Trout, also known as the Speckled Trout by most Canadians, is the most beautiful trout found in Canada and the best tasting. 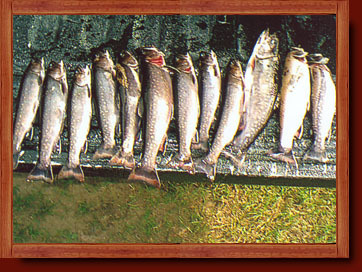 We do not have Brook Trout in Ivanhoe Lake. 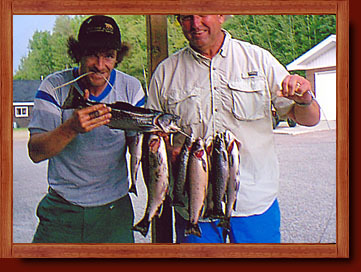 However, we have many lakes and streams in the area that have excellent Brook Trout Fishing. We want to keep these lakes and streams quiet but feel free to have a chat with one of our professional guides who can describe their location and show you where the hotspots are.